Today, Guinness has launched its new 2018 GAA campaign, ‘Bound Together’. Continuing from last years ‘Behind Every Great Town’ campaign, this year Guinness will shine a light on the GAA and how it unites communities across Ireland. GAA fans are bound together and are passionately connected to their local tribe. Guinness will bring the vibrant county colours of the GAA to life through this new fully integrated campaign that will go live on June 4th across on TV, OOH, Digital and Social channels. The new OOH creative uses an ink technique to represent both the movement and dynamism of the sport of GAA and the liquid binds the stories together. It highlights the passion and commitment of fans, players and communities, showing how sport unites them. 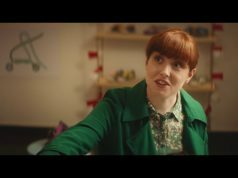 The TV voiceover reinforces the GAA “is more than just an association, we are Bound Together” set to the music of Cork native Lyra’s track entitled ‘Emerald’. GAA delivers powerful Made of More moments through the 60 – 70 minutes on the pitch as the players give it their all, and every day in between, as it brings communities together. 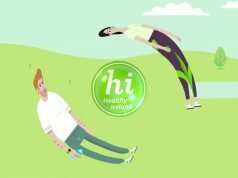 Within the creative, each county all over Ireland will see the sub text of Bound Together feature their own unique county colours. County colours are a powerful form of cultural expression and communion within the GAA community. It’s county colours that strengthen the unique bond with the GAA and are an expression of fan identity and a motif to bind them together. Whatever colours GAA fans are wearing on the day, they are united more than divided. As a part of the campaign, Guinness is sounding a call to all GAA fans, asking them to rally their tribe, and get together to share the joy of GAA moments. 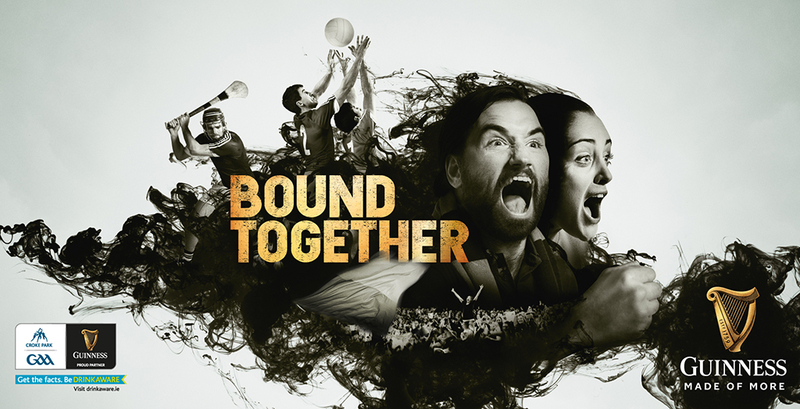 The ‘Bound Together’ campaign was created by advertising agency BBDO Dublin in collaboration with Wilson Hartnell.